Map It! 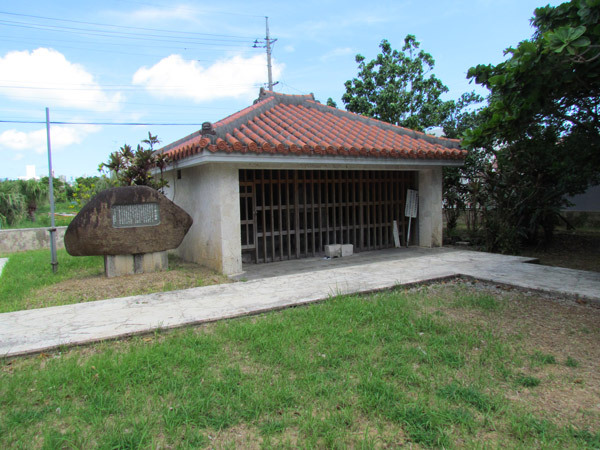 Okinawa: "The Mysterious 'Meinu' Utaki - Awase's Birthplace?" "The Mysterious 'Meinu' Utaki - Awase's Birthplace?" 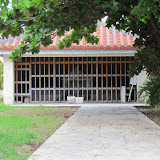 This sacred place, or 'utaki' is found in Awase, Okinawa. It is called the 'Meinu Utaki'. According to the translation from the stone inscription right next to it and from the town office brochure. People at one time immigrated from the Shuri province to the island of Awase in the 18th Century. They would pray at this utaki for good fortune and luck as they embarked on their new life here at Awase. The stone inscription (see album) starts with the heading 'Mae no Utaki'. 'Mae' usually means in front of. It also has the meaning of 'before'. Putting the pieces together as best as possible, I think what the stone is saying, that "This is a Sacred Place from Long Before". Translation is often tricky and difficult. Even the local Japanese and Okinawans may have difficult translating the Kanji, since even a Kanji may have several meanings. Why I use the word 'mysterious' is that according to the translator, the inscription says that the people immigrated to "The Island of Awase". Parts of modern day Awase might have been at one time an independent island. I didn't know that. Since then, it perhaps was built up over time and connected to the mainland. Doing a Google search I was not able to find another source to accurately confirm this. This adds to another long list of mysteries of Okinawa history. According to the translator, the sacred place marks the center of the old Awase Island, hence why it could be considered the birthplace of modern day Awase. (Update, August 25, 2011: Here is literal translation of the inscription. Awase was once known as the "Ase Island," "Awasu Kubanari," which was a desert island. However, during the King Sho Boku (1768) era, people from Shuri, Naha started to move here and became a village. The origin of this stone is when the island people thought about building a shrine to worship and pray for the prosperity of the village.This coral-lite based structure has been withstanding over 200 years of wind and rain and is known to be the oldest place of worship. The shed was added later in 1997 to protect this stone from wind and rain. Directions. If you follow the blue route that takes you to the Awase Shrine and continue on, you will eventually find some side streets that would lead to the location. You may have to count the streets to figure out which lane to turn on. Parking. You should be able to park off on the side somewhere nearby. What to bring. Definitely a camera. There are other areas nearby that have yet to post due to translation confirmation. Other places nearby of interest. The Awase Shrine, The Awase War Memorial, The God of Fire Utaki, Kanomou Well, Ubugaa.